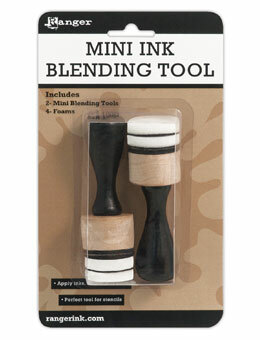 This package contains two (2) Mini Blending Tools with a total of four (4) Foam Sponges. Look for coordinating Inks, Replacement Foams and Reinkers. Product by Tim Holtz / Ranger.